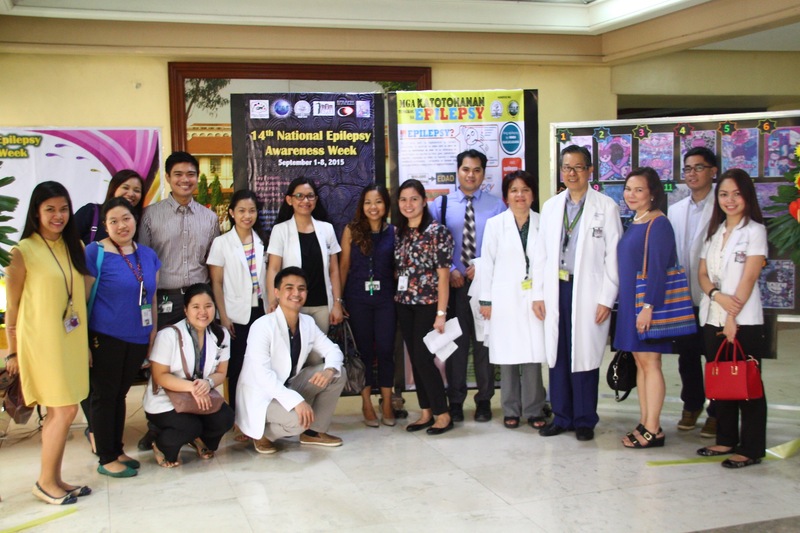 Neurology fellow, residents, and clerks with Dr. Jose Gonzales, Dr. Leonor Cabral-Lim, Dr. Rhea Angela Quimpo-Salonga, and Dr. Marc Fernandez during the ribbon cutting for the opening of the 14th National Epilepsy Awareness Week. 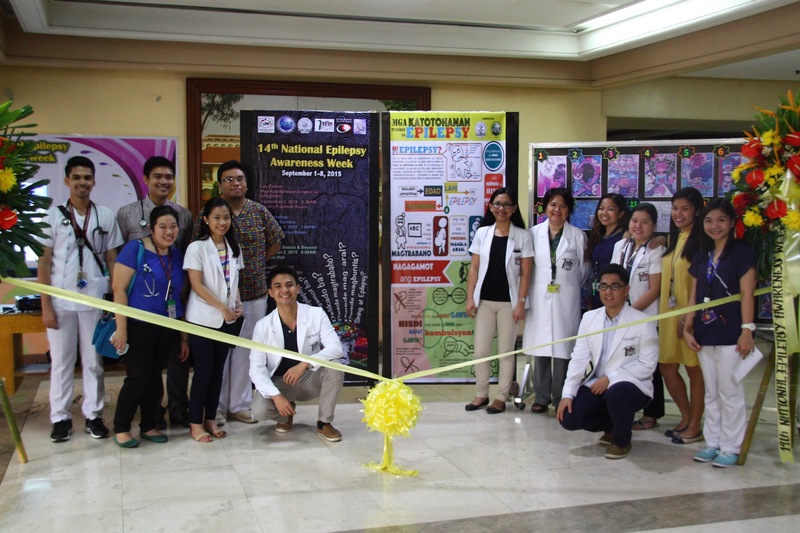 The UP-PGH Department of Neurosciences will hold its annual Epilepsy Week this coming September 1-7, 2015. This aims to improve the knowledge and understanding of laypersons regarding epilepsy. Moreover, this also aspires to enrich the expertise of medical practitioners on basic epilepsy management. This is for FREE but slots for the lay forum will be limited to the first 100 participants (patients and their companions) who will pre-register. Slots for the MD forum will likewise be limited to the first 100 clerks, interns, residents, and consultants who will pre-register. Free snacks and lunch will be served. Contact Dr. Rhain De Roxas to register for the Lay Forum and Art Workshop. Contact Dr. Marj Bagnas (5548400 local 2401) to register for the MD Forum. Only pre-registered participants will be allowed to attend the said activities. Limited to the FIRST 30 participants who will pre-register. 8:45am – 9:30am Epilepsy or Not? Come and SEIZE the day! BASAHIN PO MUNA ANG FAQS PAGE, bago magtanong o magcomment sa website. Salamat po. We also do not give specific advice about any disease using the internet. It is best that you see your doctor if you have questions about your condition.